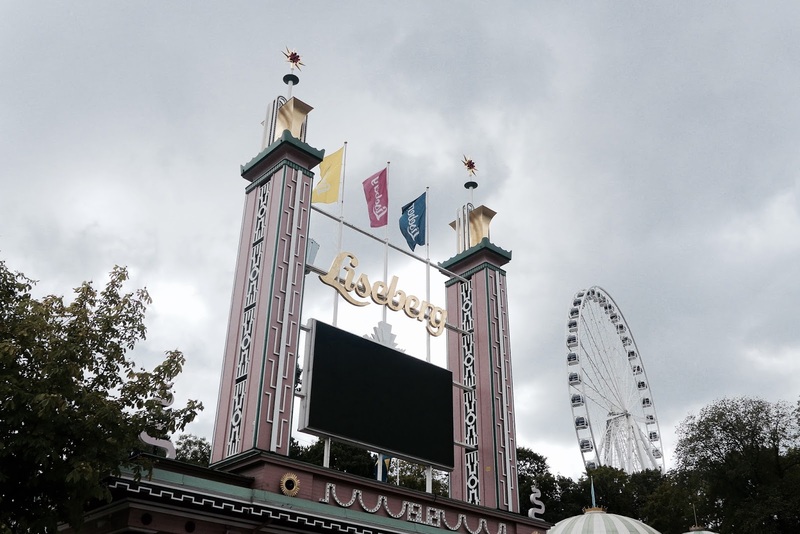 Time for another cheap theme park getaway guide, this time heading to everybody's favourite Scandinavian theme park - Liseberg! The classic city park is fast approaching its 100th year and features an excellent mix of retro theme park rides as well as world class coasters such as the Intamin Plug and Play woodie Balder and the next level multi-launched Mack coaster Helix! It's on the must-visit list of every self-respecting theme park enthusiast, so let's dive into how to get there on the cheap. Liseberg is located in Gothenburg, a major Swedish city that lays along the river on the west coast. Being at the centre of a big city like this means the park is extremely accessible and one of the rare times when you might actually be better off taking public transport. Flights for this one are a little bit tricky. Liseberg operates great opening hours which means the park opens and closes late. This idea is fantastic because in theory it means you can take an early morning flight and still arrive at the park gates before it's even open for the day and enjoy some night riding. Frustrating thing is, the cheaper Ryanair flights from London Stansted depart in the evening - meaning you can fly out the night before and arrive late and enjoy a full day at the park the next day but leave before the park closes OR you tack on another stay in a hotel. This would absolutely be my recommended option as night rides on Helix really are excellent and not something to be missed. So yh, Ryanair flights from Stansted to Gothenburg Landvetter are currently £56 for a mid-week flight in June, departing at 20.15 from Stansted outbound and 22.05 inbound. Your other option is the Norwegian flight from London Gatwick. Slightly more expensive at £91 but get you there for just after park opening. Outbound flight departs at 9.55AM and inbound flight departs at 18.05, again from Gothenburg Landvetter. Like I said, I'd recommend the cheaper flights plus an extra night in a hotel so as not to miss out on night riding Helix, but for the sake of cheapness here we'll pretend that's not a thing and take the flights at face value. Public transport is really straightforward - just jump on the Flygbussarna from the airport and it will pretty much drop you off outside Liseberg's gates. It costs 95SEK each way, which is roughly £16.50pp for the round trip. Alternatively, hire a car! The park is just a 20min drive from the airport and there's tons of parking around the park. Prices for mid-week in June are currently coming in at around £90. If you can fill the car then you're looking at around £22.50pp for the round journey. A little more than the public transport but remember this can also act as somewhere to store your luggage too, so a little less faff there. As Gothenburg is a fairly sizeable city, there are tons of hotels around and as such, prices are really competitive! Using my usual filter of a rating over 8* on Booking.com, the best/cheapest option currently popping up is Masthuggsterassens Vandrarhem & Mini Hotell (and breathe) for £52. But there are literally loads of options here so plenty to shop around! As Liseberg is a city park there are a few different ticketing options. You can just pay 100SEK (roughly £8.50) to just enter the park and have a wander or pay 455SEK (around £40) for entry to the park and access to all rides. Apparently this also includes Express Pass which unfortunately I couldn't find much more information on, but if it's as good as it sounds that means you should also be able to skip some queues! Please note, the wristbands do not include entry to the fantastic Gasten Ghost Hotel horror walk through. That said, it's only roughly a £5 upcharge and is an absolute must-do in my opinion! So, not the cheapest of trips by any stretch, but definitely not out of the question either! The park is very easily accessible and is home to some of the world's best rides so I really would encourage you to visit if you get the chance.